The Gateway, perfectly nestled on a quiet street with easy access to #1 Highway, Shopping & the University. 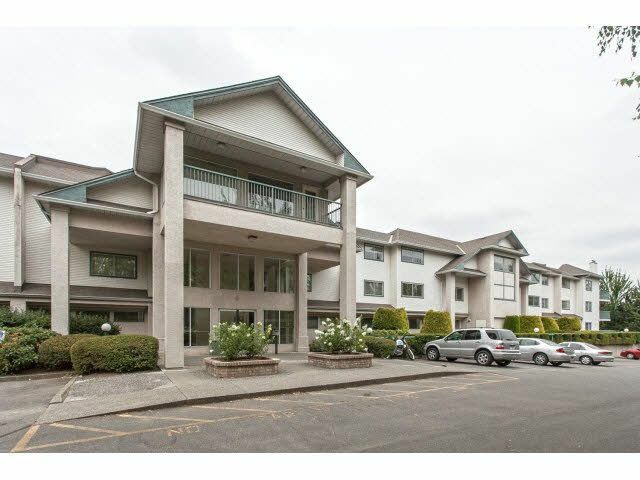 This bright and Open CORNER UNIT is spacious at 947 SQFT, with 2 big bedrooms and 1 bath. Sitting on the quiet side of the building, your large private treed WRAP AROUND BALCONY is perfect for summer BBQ'ing. Your new home boasts upgraded S/S Fridge, Stove and Dishwasher, Front loader S/S Washer/Dryer, Counter tops, Refurbished cupboards, Beautiful flooring and Gas Fireplace. Roof was replaced in 2011, family oriented building with smart hallways and common areas. PET FRIENDLY 2 Dogs or 2 Cats! Give us a call to book your private tour!